The Courtside Cafe on Washington Street in Owosso. 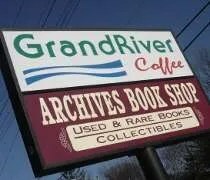 J and I made a trip to Owosso to conduct a little business. It took a little longer than we expected and J had to be back in Lansing to get work. It was pushing noon by the time we were done and we wanted to grab lunch before heading home. I did a little research and found a sandwich shop in downtown Owosso. Since we were heading back that way, I put the address in the GPS to get us back to where we needed to be. My hope was we could get in and get out pretty quickly because we were really pushing the time limit now. 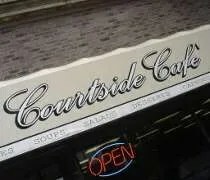 The Courtside Cafe is in downtown Owosso on the corner of Main and Washington Streets. It’s a small corner building on a very busy intersection. We actually couldn’t even find parking near the building. We ended up having to park a block down and around the corner. The Courtside Cafe is not what I expected. It’s actually a sit down restaurant with servers. I was just expecting a place to grab a sandwich from a counter. There was a lunch counter and that’s where J and I headed. We grabbed a server and asked if we could put in a carry-out order. She said she’d be right back which gave us time to look over the menu. 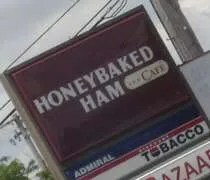 The Honeybaked Ham Company and Cafe on W. Saginaw Highway in Lansing. Merry Christmas! Yes, I know it’s July, but J and I finally cashed in her Christmas present from work. We were out in Delta Township with a number of errands to run. Before we left the house, I suggested we finally use the $50 gift certificate from Honeybaked Ham for lunch. I think we both almost forgot about it and since it’s good until next Christmas, we just kept putting it off. My family is coming to town this weekend, so picking up some extra lunch meat sounded like a good idea. 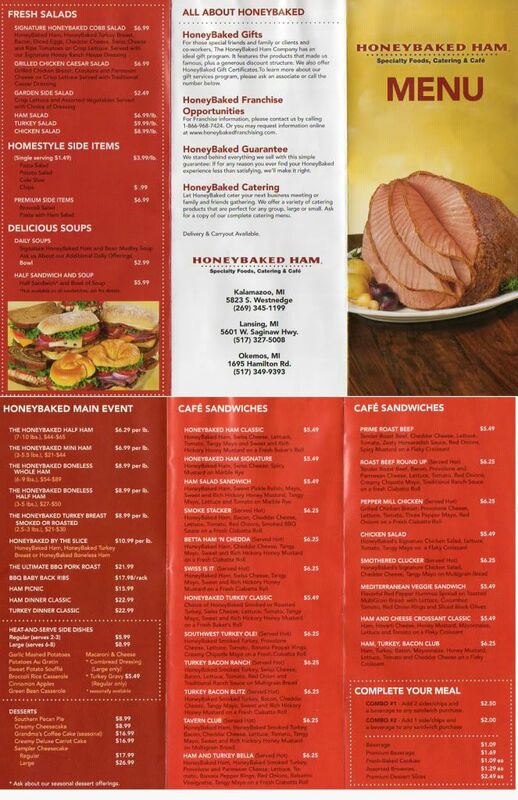 The Honeybaked Ham Company and Cafe is in one of the many little strip malls across the street from the Lansing Mall on West Saginaw Highway. I have had the boxed lunches from Honeybaked Ham before, but I’ve never been in a store. J said her mom used to stop and pick up a whole ham, but she hadn’t eaten lunch there either. Baja Grille on South Jefferson Street in Mason. We’re finding out that the thing to do on the Fourth of July in Michigan is to “go up north.” Well, we have no place to really go up north and I had to work all weekend anyway, so J and I did what we always do on Saturdays. We slept in late then got up and started planning on lunch. Our original plan was to see about driving over the Birch Run. We got up too late to do that without rushing to get me home in time for work. 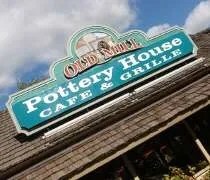 Our second idea was a cafe in Jackson that Corky told me about. We called and they weren’t open. I had a copy of City Pulse sitting on the coffee table, so I picked it up and started looking through the “Food Finder.” As I’m going down the list, I come across a place called in Mason that I’ve never heard of. 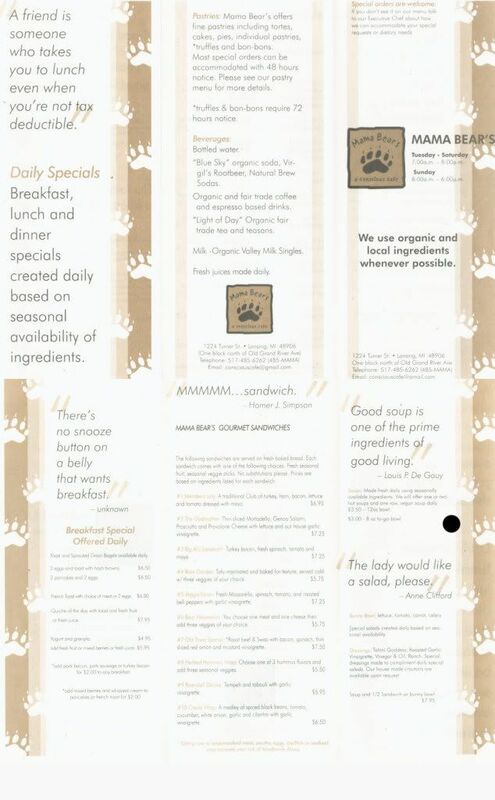 I did a Google search, found a website and loved the menu. We were off to Mason. It’s the end of the month again which means J and I head to Delta Township to get her hair cut. While she’s doing that, I drive around town, run errands, and of course, scout out new places to eat. In City Pulse’s Top of the Town Awards, I noticed a cafe in Old Town that racked up a few awards. I couldn’t find much other than a Myspace page on the place, but it sounded good to me. 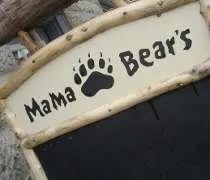 Mama Bear’s Cafe is on Turner Street in Old Town half a block off of Grand River Avenue. I drove by the building four times trying to find it. It’s a big grey building with a black awning. 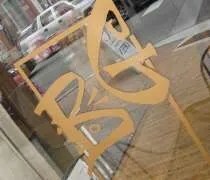 There is a logo on the awning, but it’s hard to see from the street. I did finally find it and after I picked J up, headed back to Old Town for lunch. We parked on the street a few doors down from the cafe and walked back. The cafe is pretty small, but very cute. The order counter is near the front. The dining room are heavy wood tables which are scattered throughout the space. Next to the counter on either side is a pastry case with all sorts of goodies including some that are vegan. Once again, I spent my Saturday working. Not complaining at all. I love it when I get a chance to work. However, it takes weekends away from J and I . When I work, my days are 10 hours and that doesn’t include travel, so I spend all day work and when I get home, I’m exhausted and don’t want to do much. Instead of sitting home by herself, J decided to come to Ann Arbor with me. We got a hotel room and she was going to do some shopping while I worked. At lunch time, J came back to the Wilpon baseball softball complex to pick me up. I only had an hour so I wanted to stay somewhat close to campus. Last week while working in Champaign, IL, I stumbled upon a little cafe that served up really good food really quickly. One of their two other locations happened to be in Ann Arbor and I knew it was something J would like, so that’s where we went. It was a really busy Saturday in Ann Arbor. There were people everywhere and traffic was slow going. 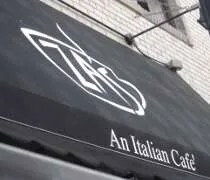 We finally made it to Mia Za’s which is on University Street in Ann Arbor near the campus of the University of Michigan. There is street parking on either side of University so we started looking for a spot. I saw one going the other direction so I did a U-turn and made it back before someone else picked it up.